PMC Tactical website is in trouble and needs your help. Please read our PMC Tactical donate page for details. Thank You. 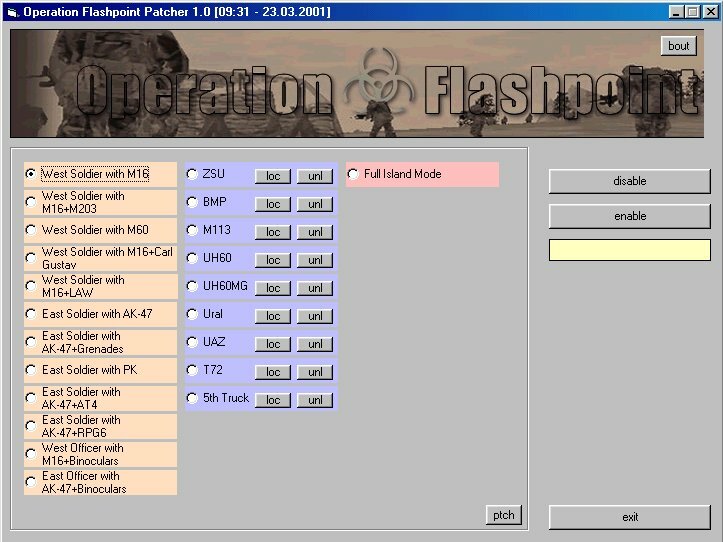 We are one of the oldest OFP/ArmA modding group as we started editing for Operation Flashpoint Demo back in March 2001, we have been editing Operation Flashpoint, Armed Assault and ArmA 2 ever since. See details from this ArmA 2 forum topic, in nutshell we will arrange ArmA 2 multiplayer event on Friday 24th to Sunday 26th of this month, I hope to see you all there. June 25, 2007 - Vietnam: The Experience v0.4 has been released! Vietnam: The Experience (VTE) v0.4 final full install has been released! Check out VTE homepage and also our forum topic for details. June 20, 2007 - PMC Baltic Command v1.1 campaign released! PMC has released its last OFP campaign called PMC Baltic Command. This was formely known as PMC Command Campaign. Check out more details in its own forum area here. June 18, 2007 - PMC Tank Hunter campaign released! PMC has released campaign called PMC Tank Hunter! This is large campaign in PMC Rugen island, you as resistance soldier fighting against Russians while teamed up with US. Check out more details in its forum topic. June 16, 2007 - PMC Joint Justice campaign released! PMC has released its latest campaign called PMC Joint Justice! This is large campaign of basic infantry combat on all BIS islands. Download here and check out its own forum area for details. PMC will finish OFP editing. We will release few last campaigns and VTE v0.4 after which we only edit ArmA. Read more details from forum topic. June 09, 2007 - Rumours of WrpTool development ceased? There are rumours of WrpTool development being ceased, this is not true. More details in official WrpTool forum topic here. PMC Tactical wishes Merry xmas and Happy New Year 2007 to everyone! May the year 2007 be still excellent OFP editing time with new campaign(s) and stuff. Check out details at this forum area. December 15, 2006 - PMC Dynamic CE campaign v0.2 released! PMC Dynamic CE campaign v0.2 has been released. Get it from here and check out more details from this area at our forum. PMC forums are now closed for maintenance (Dec 7th, 0800hrs GMT+2). We will try to open them as quickly as possible, be patient. Should take few hours or so. December 06, 2006 - Forum closed at Dec 7th, 0800hrs GMT+2 ! PMC forums will be closed for maintenance on December 7th, 0800hrs (GMT+2) ! We are closing the forum for maintenance on tomorrow morning at eight o'clock local time, we will re-open with a surprise as soon as possible, but it might take some hours. PMC Hero's Path campaign v0.3b has been released. Download here and check out details from PMC Hero's Path topic in our forums. November 25, 2006 - PMC First Fight - ArmA campaign released! PMC First Fight is first ever usermade campaign released for Armed Assault. Its work in progress and we plan to greatly enhance it in the near future. Check it out from this topic at our forum. 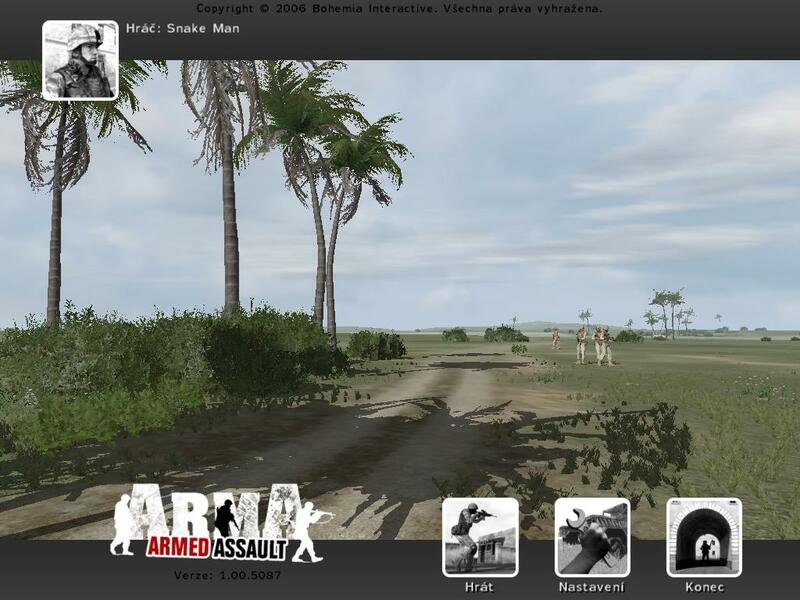 November 22, 2006 - PMC has got ArmA now! PMC just got their Armed Assault (ArmA)! November 03, 2006 - Vietnam: The Exprience v0.3 released! Vietnam: The Experience (VTE) v0.3 full install has been released! May 13, 2006 - VTE screenshots & changelog update! The official VTE homepage has been updated with new screenshots (page). Also check out the current up to date changelog at VTE forum topic. May 07, 2006 - PMC Ranger Path v1.0b rev 15 is out! PMC Ranger Path v1.0b rev 15 has been released! Get it from our downloads page now. Have fun with the new JAM3 and Bn880's tracer changes. More details from PMC Ranger Path topic on the forum. PMC Hero's Path campaign, 34 unrelenting WWIII missions on huge 25km PMC Rugen island. Check out new v0.2b right here at our downloads page. And read more details at our forum in PMC Hero's Path topic. April 10, 2006 - Vietnam: The Experience - v0.2 released! VTE v0.2 full has been released check out VTE homepage and also our forum topic for details. April 01, 2006 - VTE released a new video! Vietnam: The Experience (VTE) has released a brand new video, check it out at our official forums or direct download here - enjoy. - Bugs fixed, missions tweaked. Check out details at VTE official forum area. Check also VTE homepage for other screenshots and info. November 23, 2005 - PMC Rugen and Rattler v1.0b released! PMC Rugen and PMC Rattler v1.0b has been released. Check out details from our islands page. Also the PMC Hero's Path and PMC Dynamic CE campaigns are put to download at downloads page. November 22, 2005 - VTE open beta 11-03-05, Patch #1 released! VTE open beta 11-03-05, Patch #1 has been released! Check out VTE homepage for download mirrors etc. November 12, 2005 - PMC Rattler, 25km desert island released! PMC Rattler 25km desert island with Dynamic Campaign has been released. Check out more details and download from our forum topic about the island. November 04, 2005 - VTE open beta 11-03-05 released! VTE open beta 11-03-05 has been released! Check out VTE homepage for download mirrors etc. VTE open beta 09-13-05, Patch #2 has been released. Check mirrors from the Official VTE homepage. October 04, 2005 - VTE open beta 09-13-05, Patch #1 released! VTE open beta 09-13-05, Patch #1 has been released. Check mirrors from the Official VTE homepage. VTE open beta 09-13-05 has been released. Check out the Official VTE home page for details and download links. Vietnam: The Experience (VTE) is a big NAM addon we are working on. This is official VTE page. Follow the links for the forum topic which will be updated regularly. The campaign PMC Fury v1.0b rev 22 has been released. Head to the downloads page to download it. October 12, 2004 - PboX v1.0 has been released! PboX is utility to unpack and pack pbo files. You can view p3d files, config.cpp files and textures for example. Both ODOL and MLOD p3d's are displayed in 3d preview view. Download PboX v1.0 - 526kb. PMC Vietnam 12 & 25km islands has been released. They require the default SEB NAM Pack v2.0 since they use the objects and textures from it. Check out more details from our forums here. ODOL Explorer v2.0 has been released. You can view ODOL p3d files and save them to MLOD format. Check out more details from our WrpTool page. WrpTool page has been updated with ODOL Explorer screenshots of its new feature, ODOL -> MLOD converter. Check it out at WrpTool project page. March 07, 2004 - PMC Fury and Ranger Path updates! PMC Fury campaign v1.0b rev 20 has been added to our downloads page. This revision contains lot of fixes. PMC Ranger Path v1.0b rev 12 is also out. You need the new BAS Delta/Ranger v1.50 units now. If you find any bugs on Fury or Ranger Path, please let us know. btw Forum should be running ok again. We have some weird problems with our forum like missing users and message posts etc. We are trying to fix it ASAP. December 06, 2003 - WrpTool v0.950 Upgrade released! WrpTool v0.950 Upgrade has been released! Check out more details at the WrpTool page. 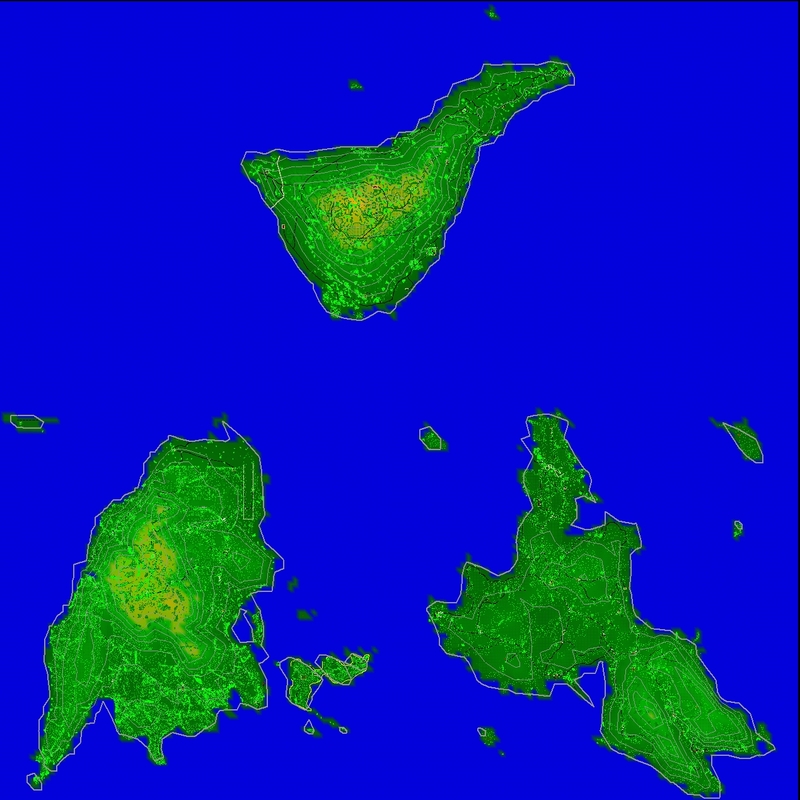 AEC Island is Malden, Everon and Kolgujev in one 25km island wrp file. You can fly from malden airbase (only AI landable) to Everon or Kolgujev in one mission, no tricks! Download from our download page. PMC Fury campaign version 1.0 beta rev 19 has been released. You can read the detailed changelog in our forum post here. To download the campaign, go to our downloads page. 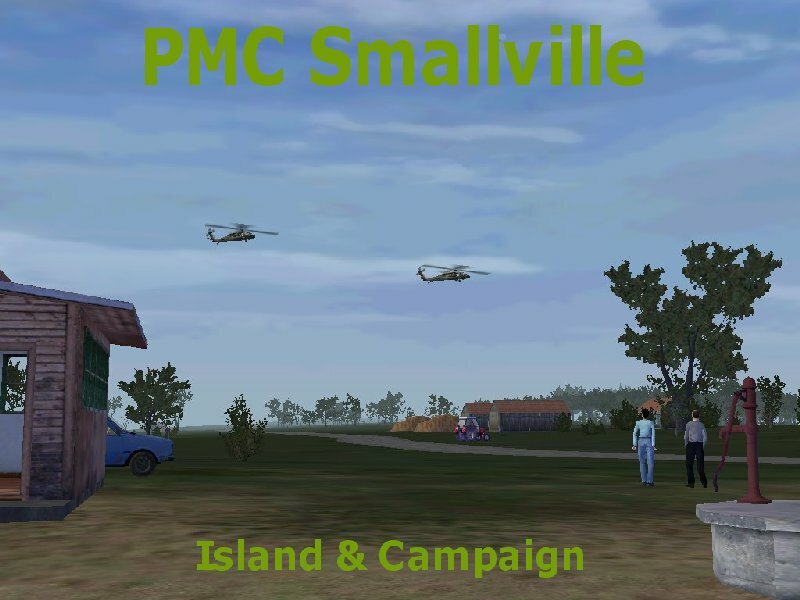 PMC Smallville Island and Campaign has been released. This includes small island using only BIS (res) objects and textures and small campaign where you play Russian squad leader (no addons needed). Download PMC Smallville here (106kb). PMC Command Campaign new fixed version is out, it uses now the brand new The Chain Of Command - Unified Artillery! We have added download mirror for the CoC UA here enjoy the 30 missions with new UA toys. October 12, 2003 - WrpTool has been released! WrpTool first public version is out! More details from WrpTool Project page. Download from here 7.5mb size. Check our forum for WrpTool area topics. Report any bugs to our WrpTool Bugpage so we can fix them. Aug 24, 2003 - Campaign info! Today we added PMC Command Campaign into the downloads page, it is using the great CoC Command Engine. In this campaign you play HQ commander giving orders to your troops. PMC Ranger Path is the name of our campaign which uses BAS Delta/Ranger addons and features the player taking lead of US Army Ranger squad in the war between US and Russians going through all four official BIS islands. Download the campaign from downloads page. We have been working slowly on utility called WRPTool which can create WRP islands for OFP. Check out the project page and see for your self whats it about. New War Story was added into the screenshots 2 page featuring SEB NAM Pack 2 new mission made by us called PMC Jungle Patrol designed as COOP for two NAVY SEAL squads. Today we started beta testing the NEW missions for PMC Fury, these are the missions after the Everon operation, beginning from number 61. We need some help testing these, so if you are interested, please download the campaign and start playing. You can find more details from topic at our forum. Update: The old campaign has been replaced in the download section with this new BETA version! We are extremely honored to be in The Avon Lady FAQ Mission of the Moment review. Our thanks goes to The Avon Lady for such a nice words for our puny campaign, Thank You. This really makes it worth while to spend long nights editing missions. We are working for a 1.85 compatibility upgrade for the PMC Fury missions because OFP (Res) 1.85 patch makes at least few missions to change a lot if not becoming completely unplayable. Also we have done lot of brand new missions for Fury using the same briefing and mission style standards as you've seen before, these new missions in a nutshell consists the Malden, Kolgujev and Nogova islands in standard infantry combat, just like before. Most likely these will be released "when they are done". May 16, 2002 - PMC Fury FULL version is released! FULL version of the campaign has been released! It comes in full download and smaller upgrade for the users who have already played/downloaded PMC Fury campaign. This is the so called "Part 2". Azimut 0 made a PMC Fury conversion into Jungle Everon. The jungle everon looks real nice. You can visit he's web page here and download the campaign conversion. March 20, 2002 - Campaign Trailer released! PMC Fury Campaign Part 2 missions get build daily. We will accept voice actors with great appreciation and possible even some beta testers. Let us know in the forum if you are interested. January 1, 2002 - PMC Tactical Flashpoint web site opened! December 20, 2001 - PMC Fury campaign released!